Nicky O’Neal Lambert, 58, of Lake City, passed away on Tuesday evening, March 19, 2019 at the North Florida Regional Medical Center after a sudden illness. He has made Lake City his home since 2003, moving here from Live Oak. 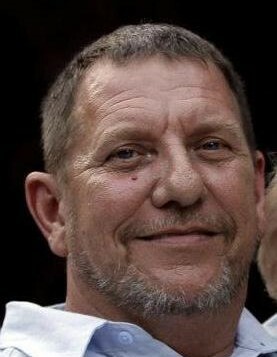 He was of the Baptist faith and worked for Terry Dicks Trucking and Clint Dicks Trucking together for over 20 plus years. In his spare time, he enjoyed playing the drums, fishing and flying his model airplanes. He is preceded in death by his mother and step-father, Grace and Jim Carson; father-in-law, Dennis Russell and brother-in-law, Willie Smith. He is survived by his loving wife of thirty years, Teresa Lambert of Lake City; sons; Chris Boudreau (Heather) of Spring Hill, FL and Nick Lambert, Jr., (Tricia) of Des Moines, IA; daughters, Sam Helmick of Lake City, Kelly Kirby of Lake City and Alisa Lilley (Mike) of Greenville, SC; brother, Greg Lambert of Live Oak and mother-in-law, Wolverine Russell of Live Oak. Seventeen grandchildren, one great-grandchild and a host of extended family members and friends also survive. A memorial gathering in honor of Mr. Lambert will be conducted on Friday evening, March 22, 2019 at Gateway-Forest Lawn Funeral Home from 6:00-8:00 P.M.